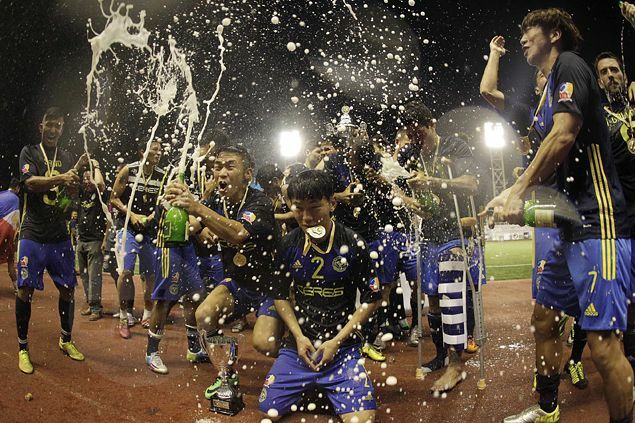 PHILIPPINE club football has made another significant step toward Asian relevance as the country has qualified for the Asian Football Confederation Cup. Philippine Football Federation president Nonong Araneta confirmed the country has been allocated “1+1” slots in next year’s edition of the prestigious tournament featuring clubs from developing footballing nations in the continent. That means the Philippines will have one team, which will have an outright berth, and another, which will have to go through a playoff to gain entry. Araneta confirmed Global FC, the reigning United Football League league champion has been assigned the automatic slot, while national club UFL FA League Cup titlist Ceres-La Salle will have to go through a separate qualifier. The development came after the AFC revamped its club competitions last April, part of the changes disbanding the AFC President’s Cup and awarding the top participants entry to the higher-rung AFC Cup. Ceres represented the country in the last edition earlier this year when the club barely missed a spot in the final round, bowing to HTTU Asgabat in their last group stage match at the Panaad Stadium in Bacolod. Global flew the flag last year, but also fell short. “We expect more home games for our club teams,” Araneta said.